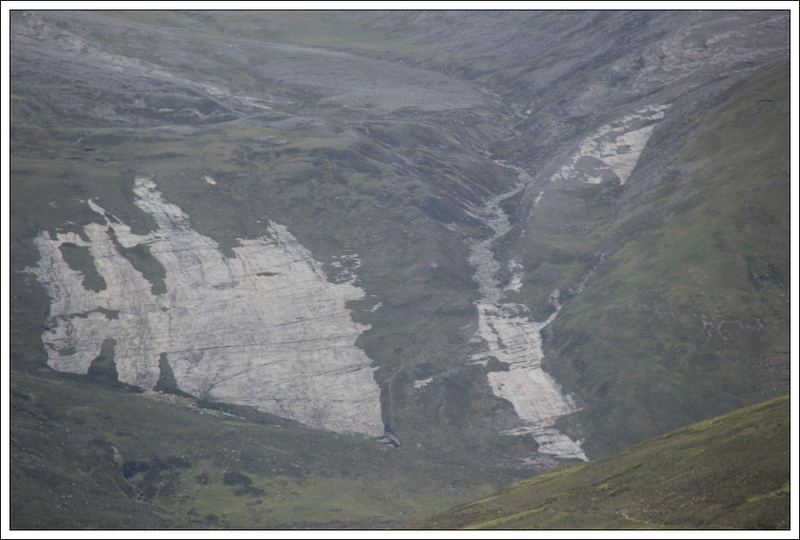 Yesterday, I attended the Moray Mountaineering Club’s monthly Bus Meet. Bus Meets are an excellent way of getting to the hills, especially when you can get dropped-off at one location and picked-up at another location several hours later. 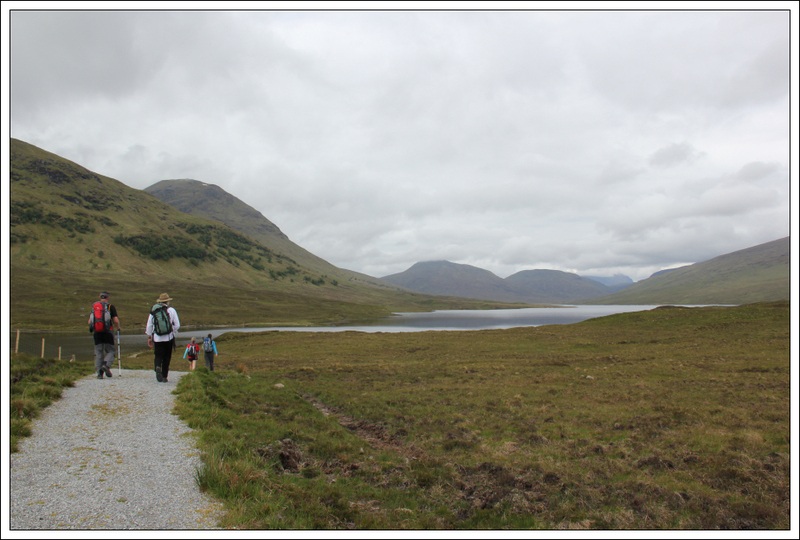 Yesterday, we were dropped-off at Loch a’Bhraoin and picked-up at Kinlochewe. 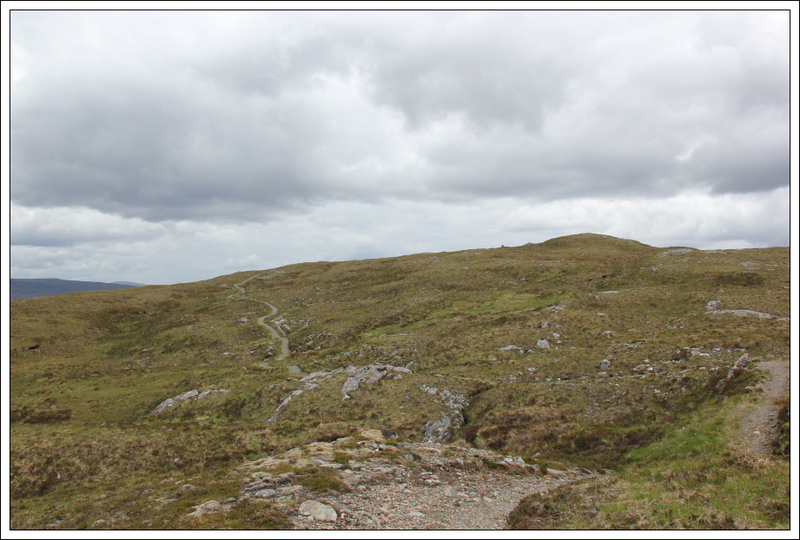 Members ascended a variety of hills via a number of different routes. 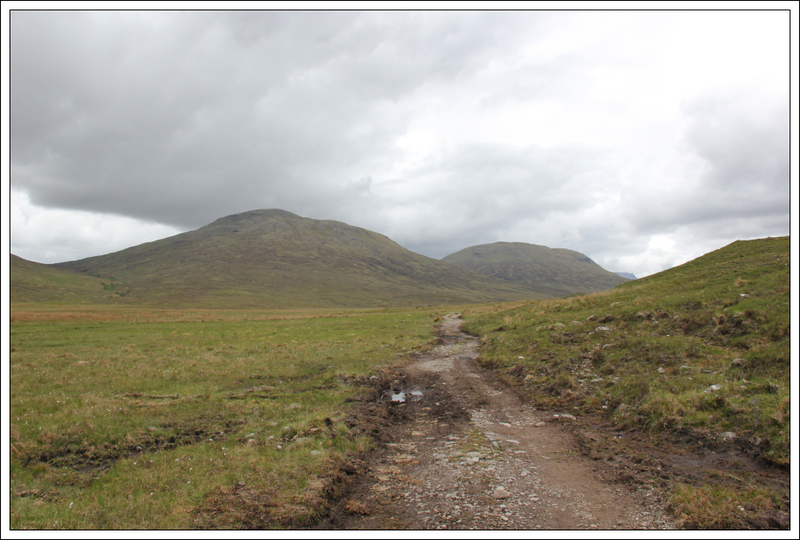 The largest group, including myself, opted to ascend Groban and Beinn Bheag. 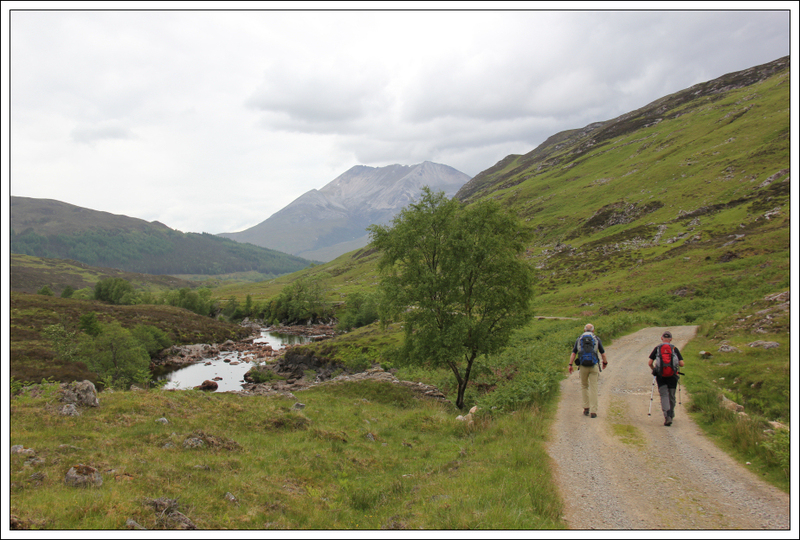 We set off from the A832 at a good pace. 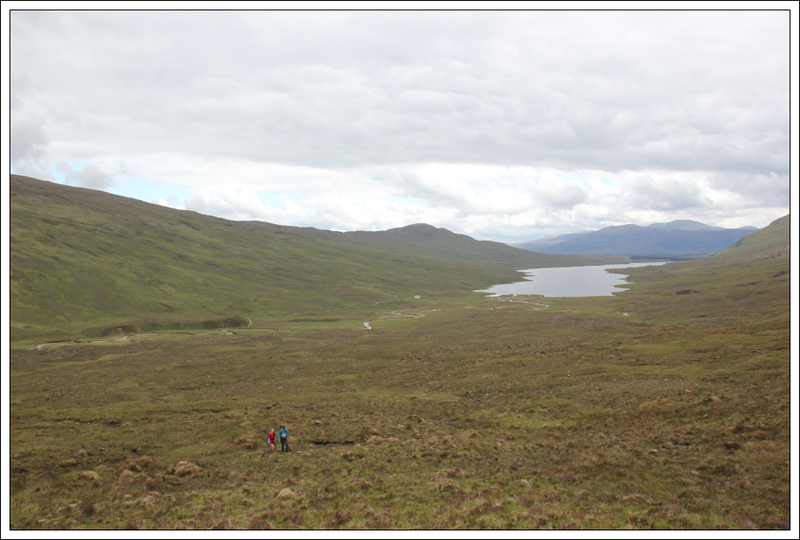 The walk alongside Loch a’Bhraoin passed really quickly. A short distance from Lochivraon there were cattle, including a bull, standing on the track. The bull put on a show as we walked past mounting one of the cattle. He was rather well-endowed! 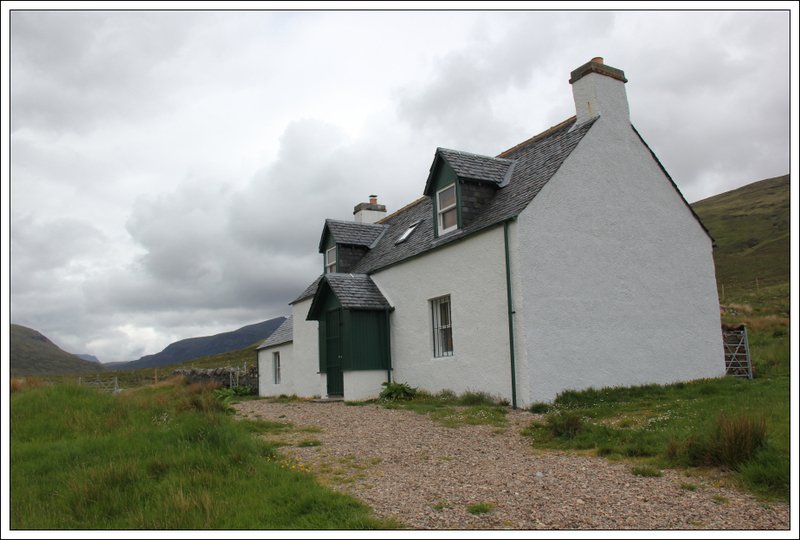 On reaching Lochivraon, we stopped for a quick drink and a bite to eat in the bothy. 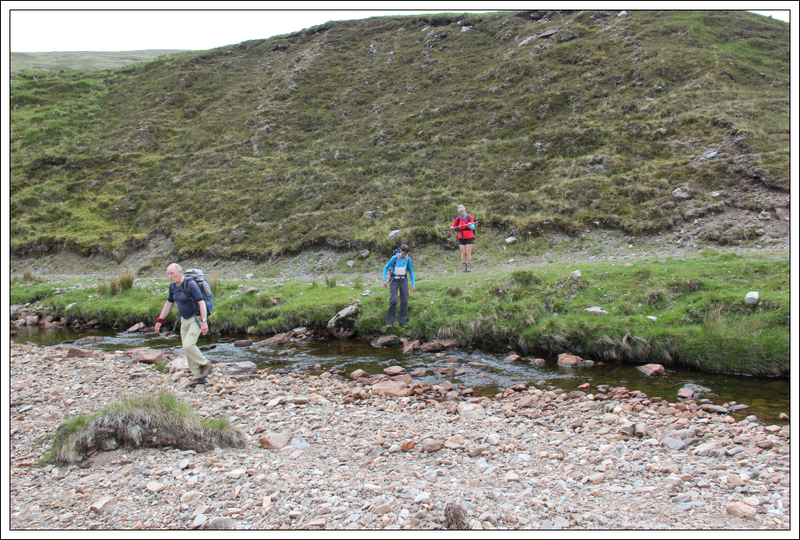 At the bothy, our group split in two with myself, Dave, Bill, George, Ros, Corinne and Andy setting off in the front group. 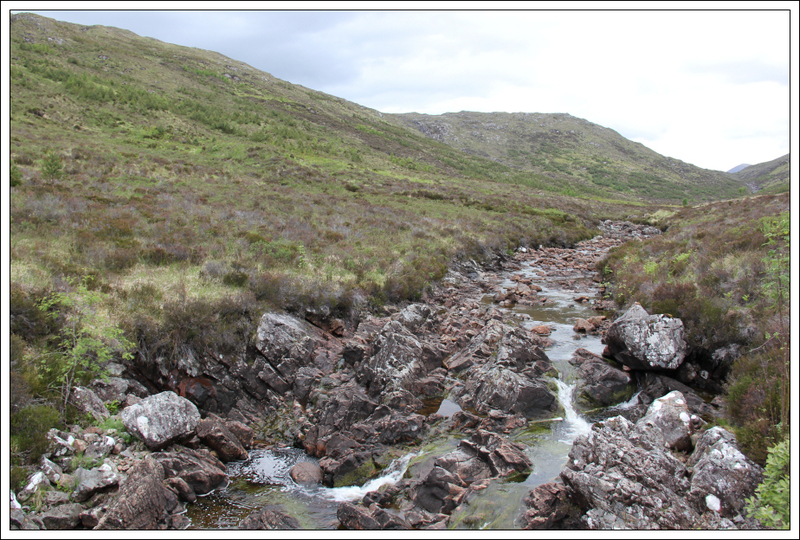 The Allt a’Bhealaich Bhain was very easy to cross. 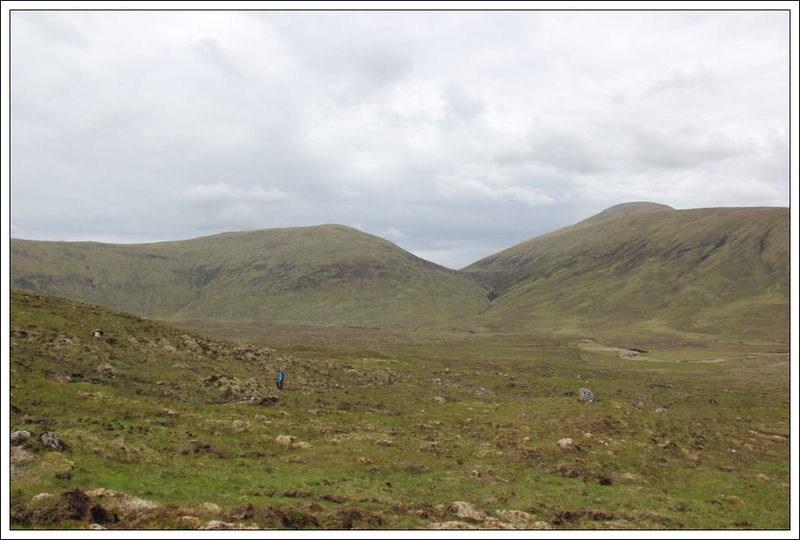 As well as the Allt a’Bhealaich Bhain being narrow and shallow, the trackless ascent of Groban was also very dry underfoot. It can be fairly annoying when you get a song into your head that repeats and repeats over and over again. During the ascent of Groban, I had to suffer Josh Groban’s version of You Raise Me Up playing over and over in my head. I did however manage to show restraint in not singing it out loud . 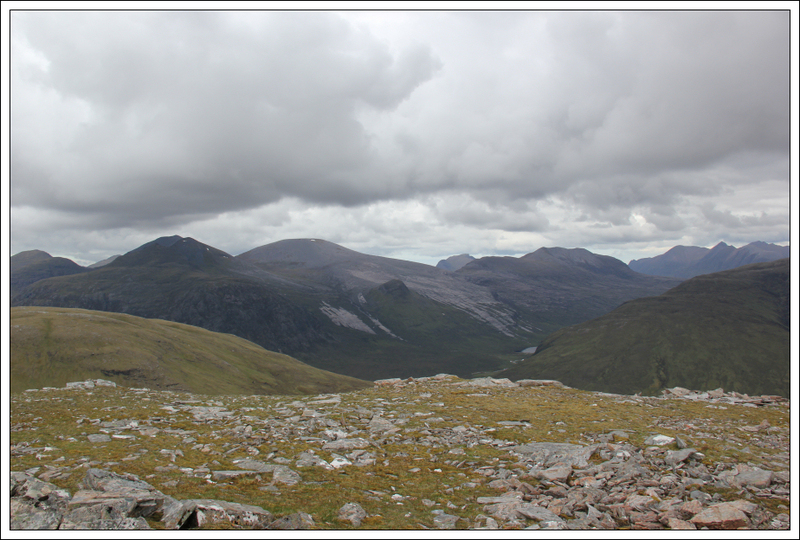 As we made our way up Groban, we got increasingly good views across to the Fisherfield Munros. 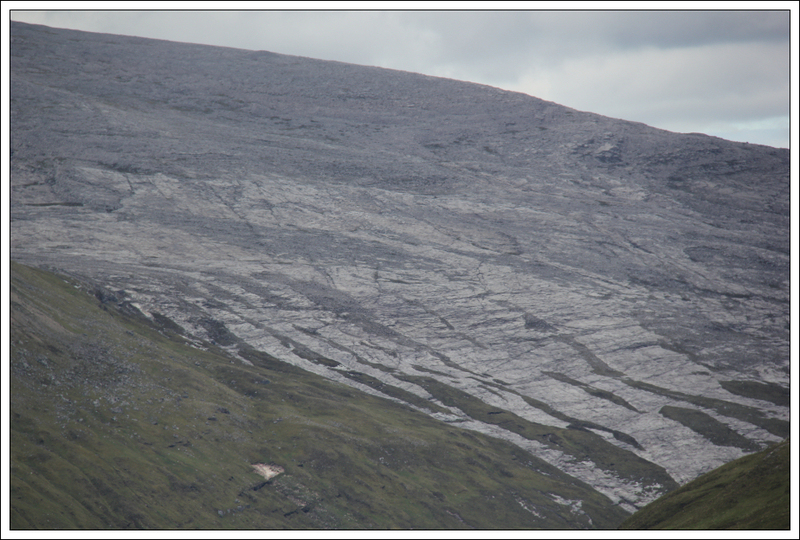 The slabs on Mullach Coire Mhic Fhearchair and Sgurr Ban both looked fairly impressive. 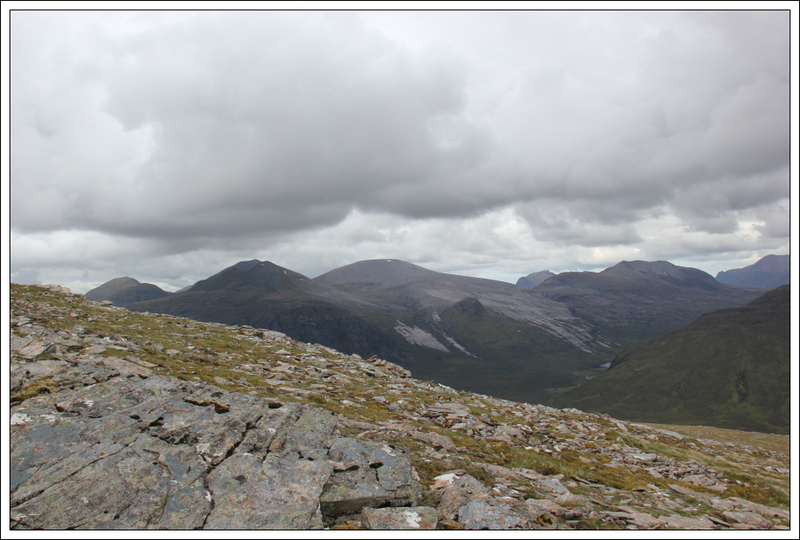 An ascent via these slabs is definitely now on my wish-list. 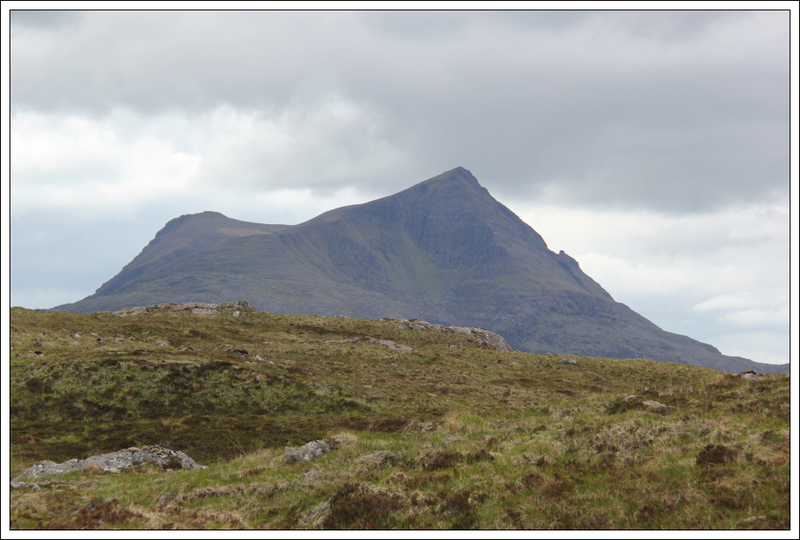 As we approached the summit, it was also nice to see Beinn Dearg Mor make an appearance between Sgurr Ban and Beinn a’Chlaidheimh. 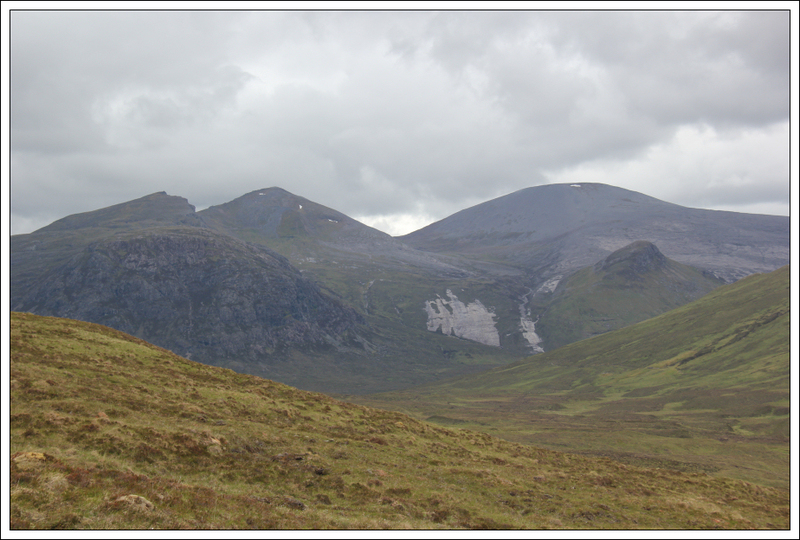 Beinn Dearg Mor is an outstanding hill. 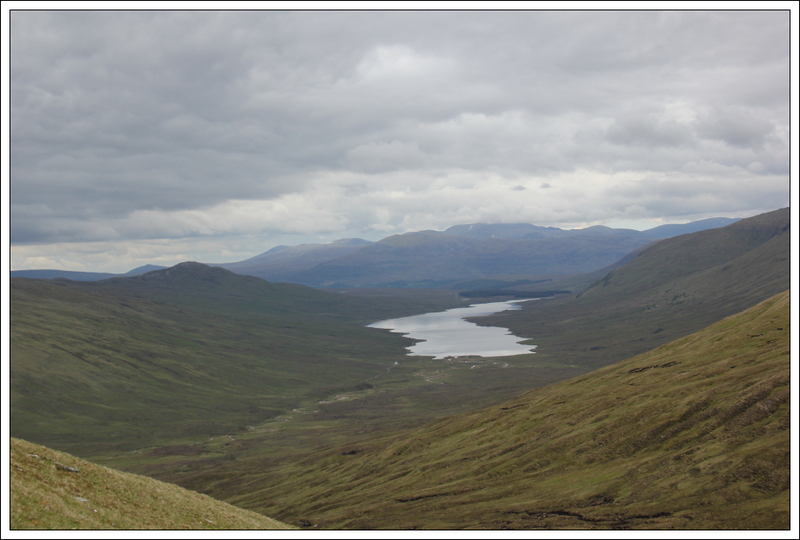 The views from the summit of Groban were really good. Views would be fantastic on a perfect blue-sky day. 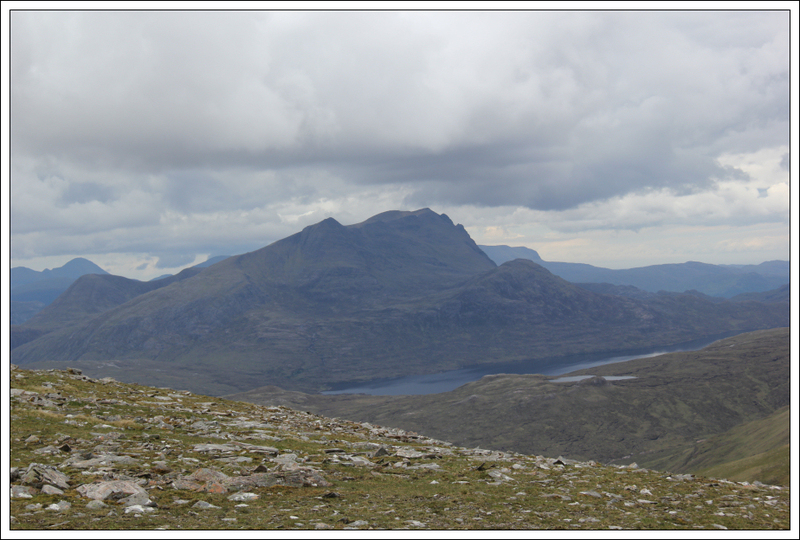 Slioch looked particularly nice. 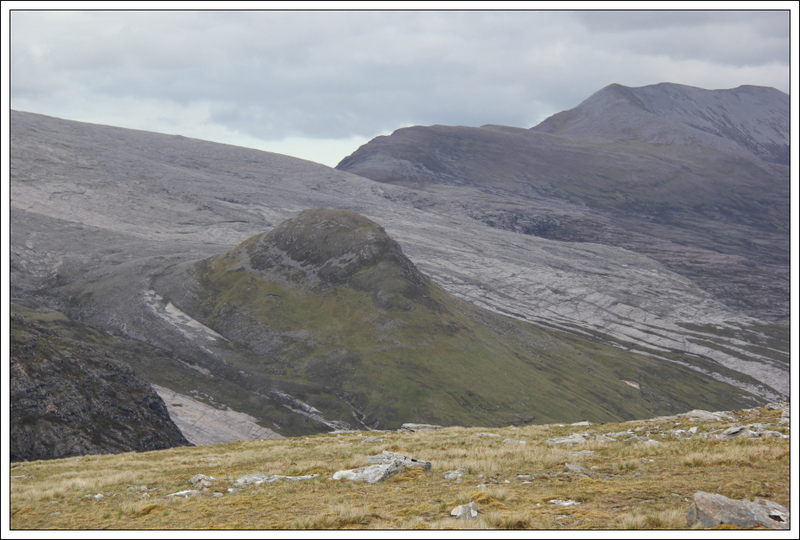 The following photo is a four-stitch panorama taken at the summit of Groban. Congratulations to newly-weds Ella and Drummond . 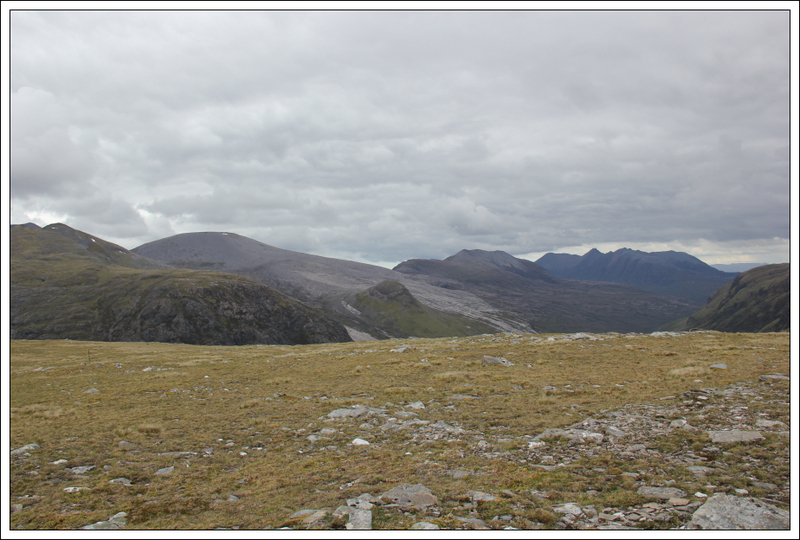 From the summit of Groban, the front party descended steeply towards the bealach between Groban and Beinn Bheag. 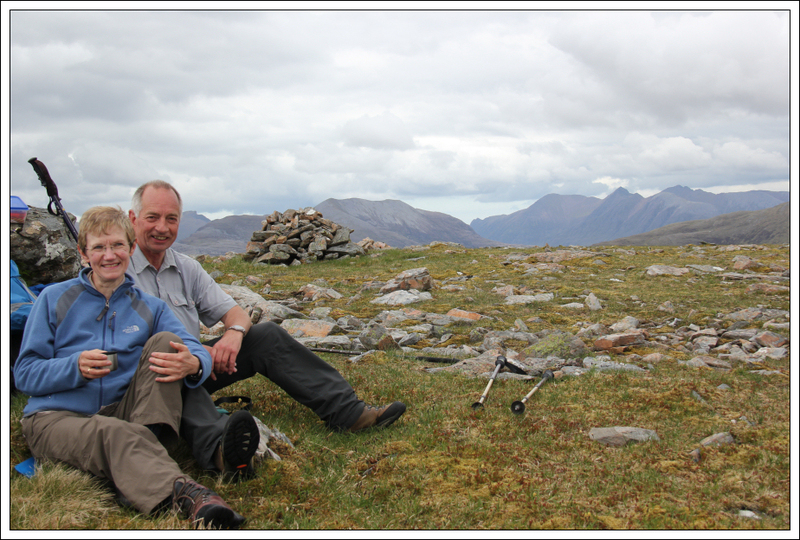 During the descent, Dave and Bill spotted a very small fawn that was lying motionless on the grass. 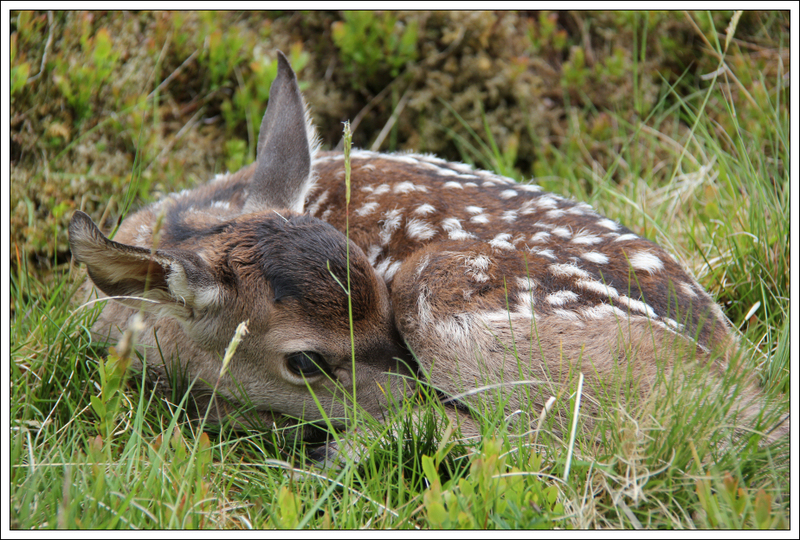 I felt really sad on seeing the fawn as I thought it had been abandoned and was close to death owing to its lack of movement. However, on reading up on getting home, fawns are apparently often abandoned by the mother while the mother goes to feed and fawns do lie motionless while awaiting the return of the mother. 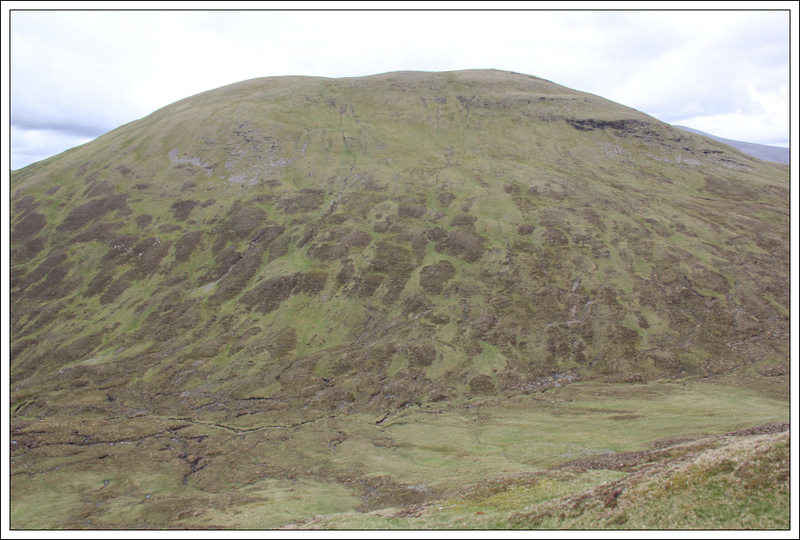 The ascent of Beinn Bheag was very steep. 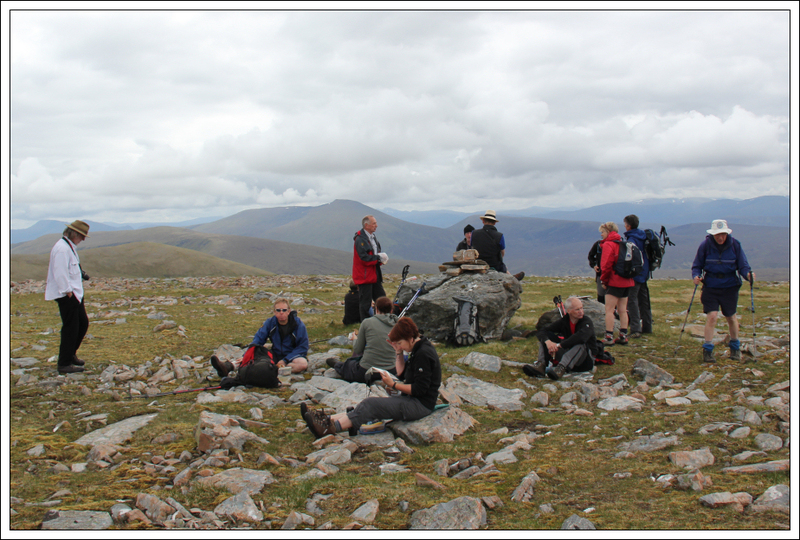 At the summit of Beinn Bheag, we had a quick look at the map to agree a route to Kinlochewe. 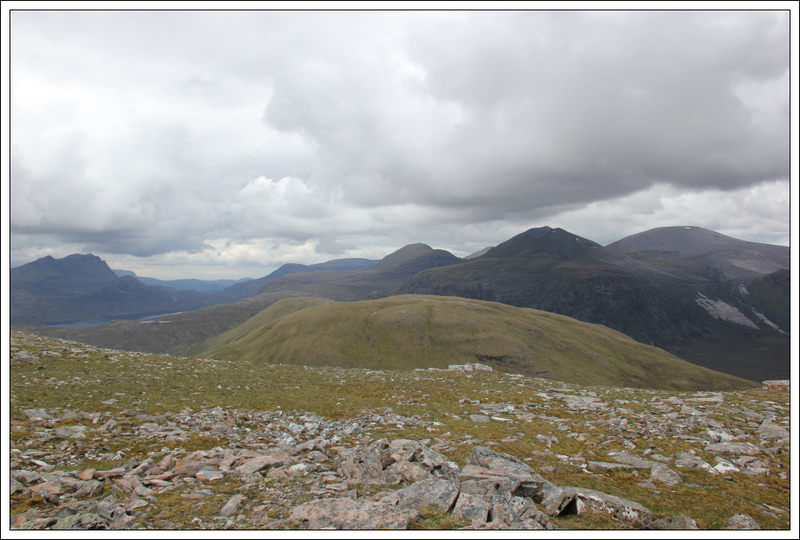 We opted to return via the Heights of Kinlochewe rather than Gleann Bianasdail. 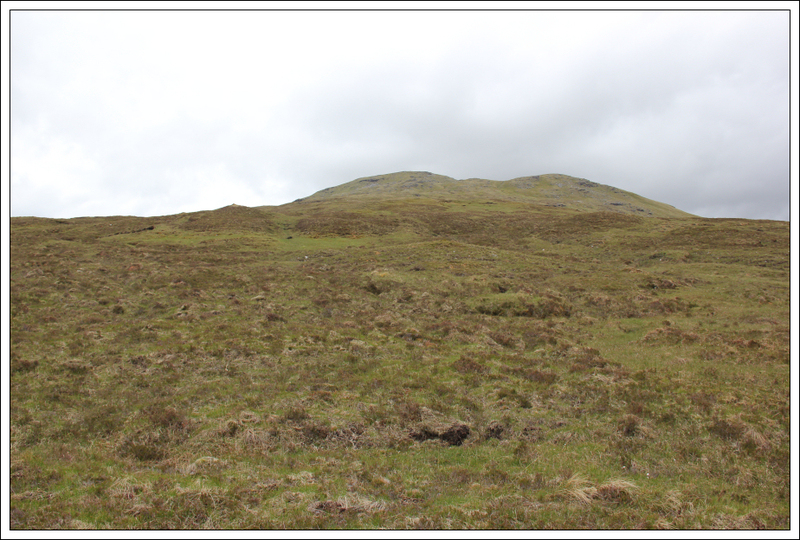 As we made our way up Meallan Odhar, we aimed for a path that was marked on the map. The path was surprisingly good. On reaching the bridge over the Abhainn Gleann na Muice we all stopped for a seat on the bridge. We spent around fifteen minutes on the bridge moving on once the midges started closing in. 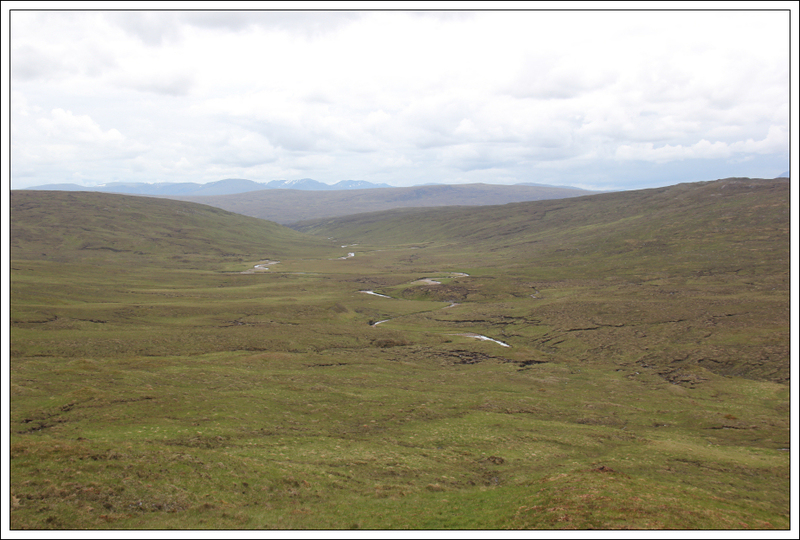 The walk out to Kinlochewe from the Heights of Kinlochewe was pleasant albeit hard on the feet. … and what better way to finish a walk than to arrive at a pub . 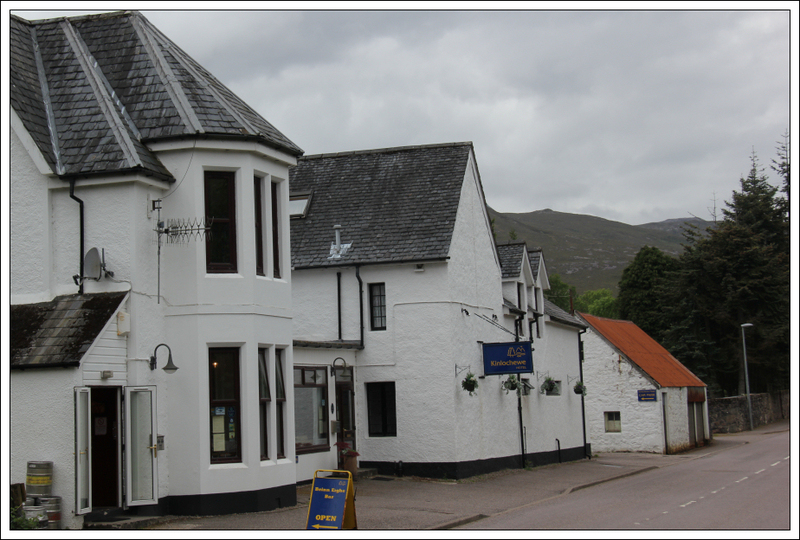 After an hour or so in the Kinlochewe Hotel, we returned on the Bus to Elgin. A great day out .